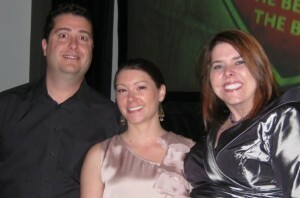 The Pinstripe creative team brought home two ADDY awards at the 2009 Tampa Bay Advertising Federation ADDY gala on February 28th. The Worry-Free Security campaign for Trend Micro won a Silver ADDY in the multimedia category. The campaign included a microsite and online game, Whack-a-Virus, the CMPXChange conference engagement program, and virus promo buttons. The new Pinstripe Marketing stationery package earned a Gold ADDY in the self promo category.